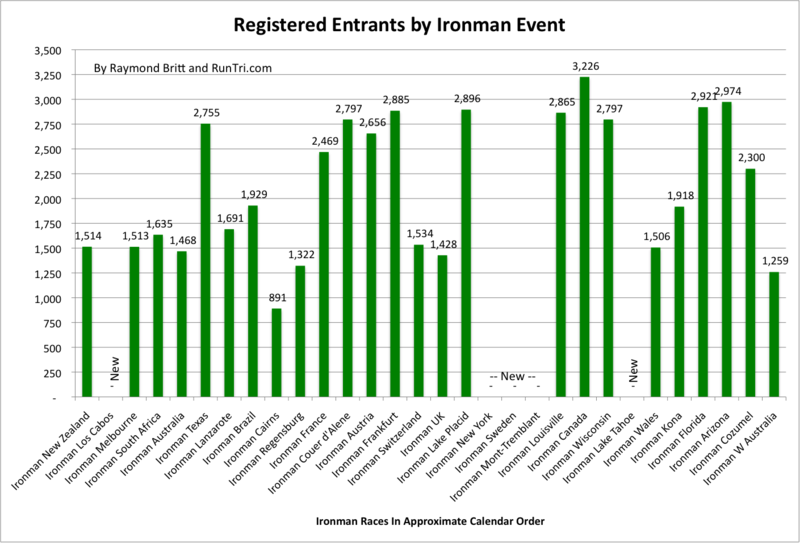 In the last year, about 175,000 triathletes have entered or finished one of 110 triathlons managed by World Triathlon Corporation, the owner of Ironman and Ironman brand events. 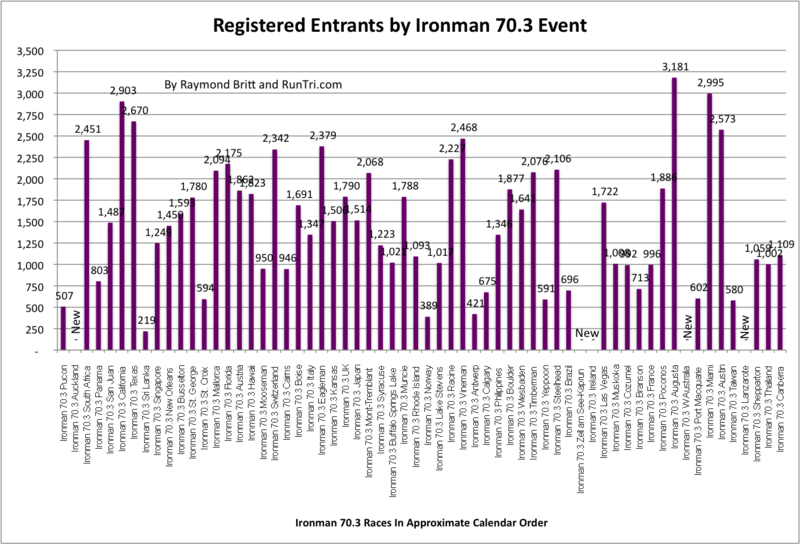 The actual number of registered entrants varies widely, from more than 3,000 at Ironman Canada and 5150 St. Anthony's to a low of 219 at Ironman 70.3 Sri Lanka. 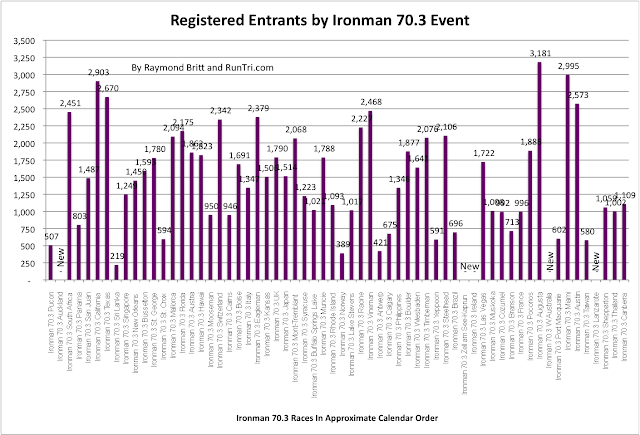 Chart data is sorted in approximate calendar order. 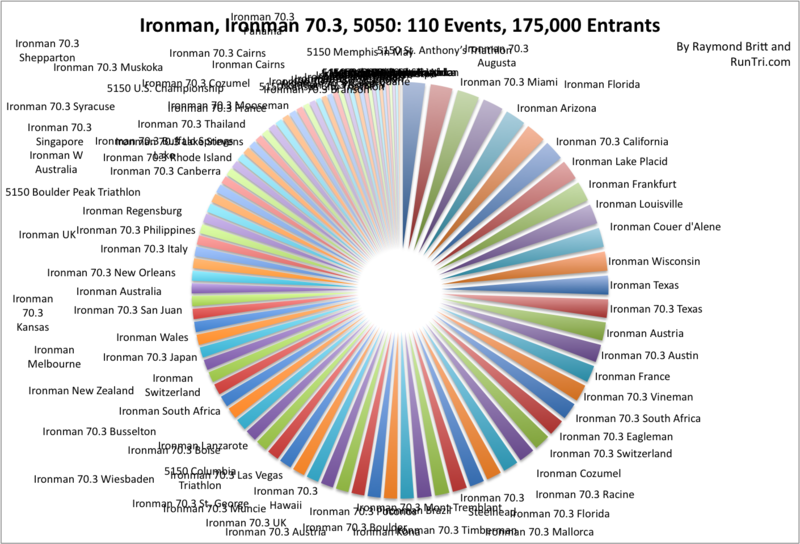 What do 110 races with 175,000 entrants look like on a single page? It's a bit overwhelming, when you think about WTC managing each race individually, as location, participants, rules, schedules, dates, volunteers, website, results and more tende to vary from event to event.